One of the Best Sashiko Needles in the market. Getting ready to start Sashiko stitching with the supreme quality tool is very important process to enjoy Sashiko and its result. 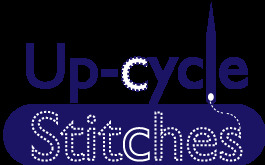 We want you to get rewarded to the time you invested in hand Sashiko stitching. There are only a few things we need to get ready. A needle, a thimble, thread and fabric. Meanwhile we have been using the different Sashiko needle, we introduce a supreme quality Sashiko needle, which is specifically designed and manufactured for the Sashiko purpose by Tulip Needle company in Hiroshima, Japan. Why do we introduce the other needle? It is because Sashi.Co & Keiko Futatsuya provided the advice as the Sashiko artists, and Tulip company accomplished the development based on the advice we provided. The product title, "Big Eye Straight" is named by the Tulip Needle Company. 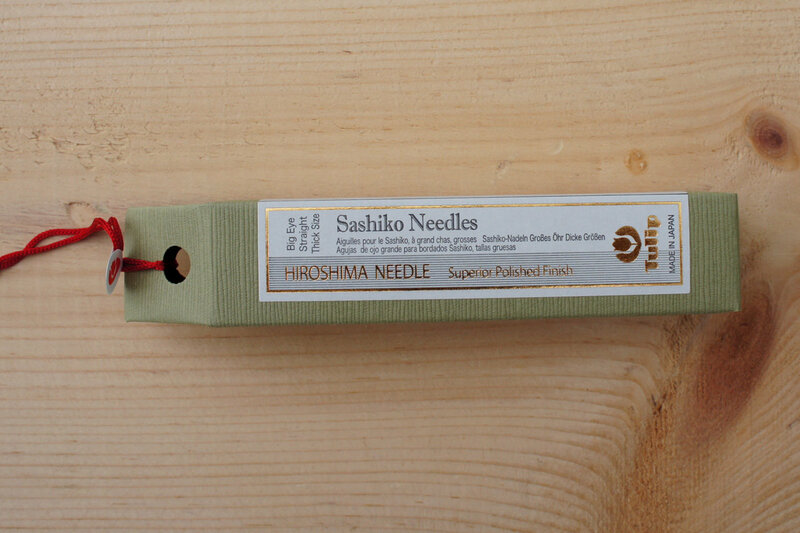 The needle eye is not bigger than the Sashiko needles we originally offer. Please check this article for more information about the size of Sashiko Needle Eye. 4 needles in a beautiful Clear-Plastic container. When using the Sashiko thread in double and more, this "Big Eye Straight Thick Size" is the best choice. When you want to make single stitching, have the thick size needles. When practicing Kogin Sashiko, you would need a needle with dull top. This needle is NOT ideal for the Sashiko we introduce on our website. The tradition of needle-making in Hiroshima stretches back for more than 300 years. Tulip brand is based in this Hiroshima region and produces sewing needles, crochet hooks and knitting needles for handicrafts. 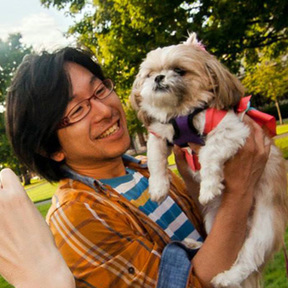 *Because of Inventory in short, you may receive the package with Japanese language. The needles are the exactly same. Please refer the translation on the website for warning and product's profile. Large needle eye. Flexible and warp resistant/ Runs smoothly through fabric. This product should be used for sewing purpose only. Please keep out of reach of small children.